The government has agreed contracts worth £104m for outside help on Brexit, according to analysis for the BBC. Since the EU referendum, Whitehall has hired companies to do consultancy work to prepare for the UK’s EU exit. Companies with the most valuable Brexit contracts include Boston Consulting Group, PWC and Deloitte, according to analysis firm Tussell. Departments drawing on the advice of external specialists was “standard”, a government spokesman said. Six companies each received a contract worth £10m for “Cabinet Office Consultancy Support for EU Exit”. These contracts for “strategic programme management” run for a year until 1 May 2019, and give government the option of extending them for another year at the same price, according to letters from the Crown Commercial Service to the suppliers. The US-based Boston Consulting Group has received five contracts, worth £14.2m, to work with the Cabinet Office, Departments for Environment, Exiting the European Union and Business. Defra awarded 13 contracts for research services. 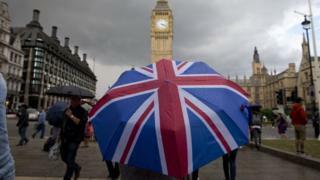 Gus Tugendhat, the founder of Tussell, a data provider on UK government contracts, told the BBC: “Even in the best of circumstances, the civil service alone would never have had sufficient capacity to pull off a project like Brexit in the time available”. “Due to the sheer breadth of issues the government is having to grapple with, it was pragmatic to engage the expertise of consultants – even if it is has led to extra cost for the public sector and a windfall for consulting firms,” he said. The final amount of money handed to suppliers may be lower than the value of the published contracts. It is possible this analysis has not included Brexit-related contracts where the title or description do not reference it explicitly. “It’s no surprise they have let a lot of contracts,” said Jill Rutter from the Institute for Government. Two of the research contracts are to monitor news and social media reports about Brexit for the Department for Exiting the European Union. One stipulates it wants “accurate media monitoring data from across the 27 EU countries”. IT contracts valued at £10.2m were awarded by government departments, led by the Home Office, which inked four deals, all relating to EU citizens currently living and working in the UK. These include an agreement with Worldreach for facial recognition software for the EU Settlement Scheme app and Fujitsu for ID document scanning work. The lowest value contract made public, worth £12,500, was between the Department for Education and a law firm for “legal analysis on the status of EU national children in the UK and British national children in the EU”. Others covered more specialist areas. Defra agreed a £15,000 deal on research to asses “the impact of Brexit on the milling wheat and malting barley supply chain”. “The whole of government is preparing for the UK to make an orderly and successful exit from the European Union, and we are equipping ourselves with the right people and the right skills across government to make this happen,” the spokesman said. “Britain’s exit of the EU, on whatever terms, will require new skills and greater resources for the civil service for decades to come,” he added. PWC and Deloitte said they do not comment on client work. Across the public sector, 23 different contracting authorities have awarded Brexit deals – 85 of them, worth a combined £107.3m. Many smaller bodies, including Visit Britain, the BFI, and local authorities awarded Brexit-related work. The Arts Council commissioned research “to quantify the extent of European and international working relationships by arts and cultural organisations in England”. The BFI asked for research to, in part, “establish lines of work for future research topics to ensure that the economic and cultural value of the UK’s screen sectors is preserved and continues to grow over the coming years”. In December, the Treasury said it had provided more than £4.2bn for Brexit preparations since 2016. At the time, the Chancellor Philip Hammond said, “A responsible government prepares for all contingencies and that is why we’re stepping up no-deal planning”. ← Netflix: Is streaming killing the cinema industry?